Commodity prices have fluctuated for the past four years because of economic ambiguity. The 2016 commodity prices forecasts slight increases in the prices of several commodities. The Economist Intelligence Unit report forecasts an increase of 4.2% and 5.3% in 2016 and 2017 in the prices for base metals. The report states this increase will predominantly be driven by price increase in aluminum prices. Weak demand from China is expected to keep copper prices down as the former metal is used extensively in infrastructure and manufacturing projects. The EIU also states, it is expected that commodity prices will stay well under the peak that occurred in 2011 and that 2016 will be a year of stabilization, with a combined commodity price index registering a 2.6% reflection. EIU depicts, this will be driven by a small increase in oil prices, which will also feed into the price of other commodities. Nevertheless recent news about China's economy, the country will continue to absorb a huge quantity of raw materials, not least given a small construction-driven rebound in investment in 2016. Declining production in response to low prices or as a result of weakening agricultural yields will lead to a tightening in the market of various commodities. 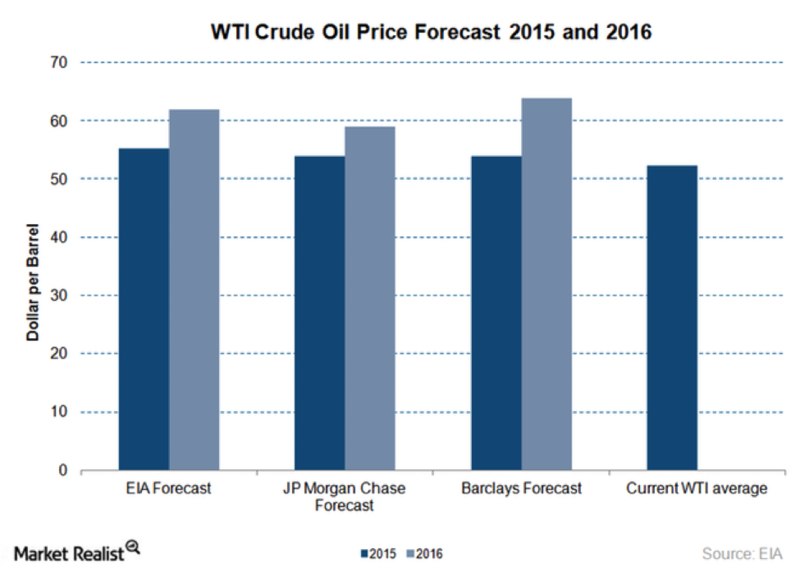 This graph provided by Market Realist, displays crude oil price forecast. Additionaly, according to Investopedia, the idling capacity of U.S. oil wells has increased, there are no signs of a slowdown in oil production in Saudi Arabia. The entry of Iran, which has a substantial oil capacity into he global oil market, is further expected to complicate matters in the market. The overall effect of demand growth will be a marginal to moderate increase in prices from 2015. Prices may seem to increase, however, here at Tornik we always provide the best competitive prices for our manufacturing materials. As a cable and harness supplier, our prices have always been competitive given the strategic advantage of having a facility in low cost manufacturing country, Mexico. Even in an increase of prices, Tornik is in the position to continue to provide competitive prices for your custom cable, harness, electromechanical and box build assemblies.